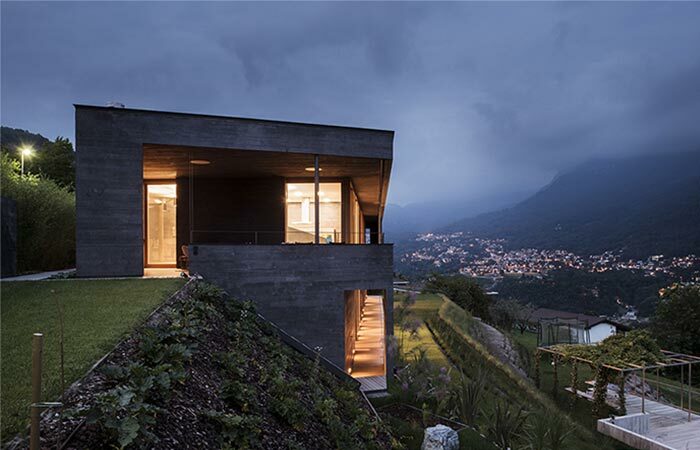 Located on the hills of Lugano, a Swiss city, stands Comano Villa. It has an amazing view of the Lugano Lake and the mountains of high Capriasca. 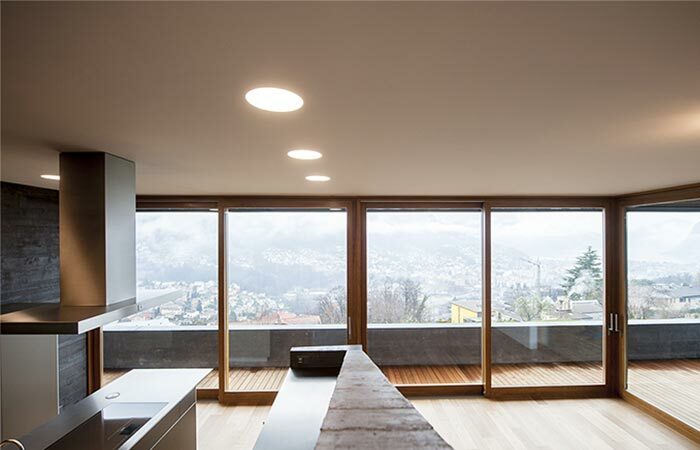 Since the house looks at the lake, the idea was to create a lot of windows and allow the residents to enjoy the breathtaking panoramas. 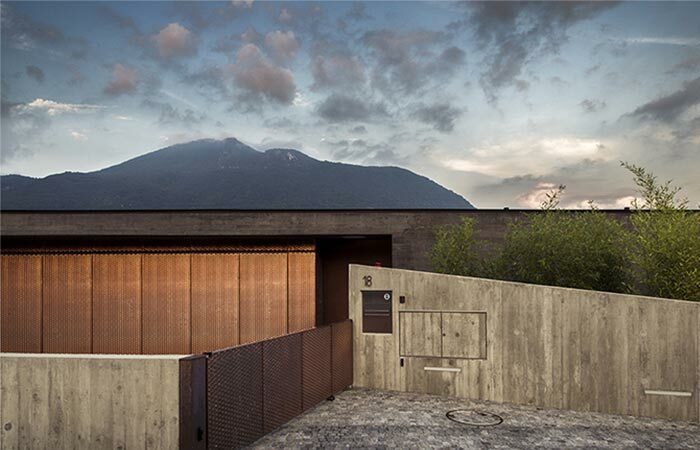 There were many options for the color choice, but at the end, Attilio Panzeri & Partners decided to go with black concrete. They collaborated with different specialists like chemical engineers to achieve the desired color. The wooden boards are there to provide the contrast. 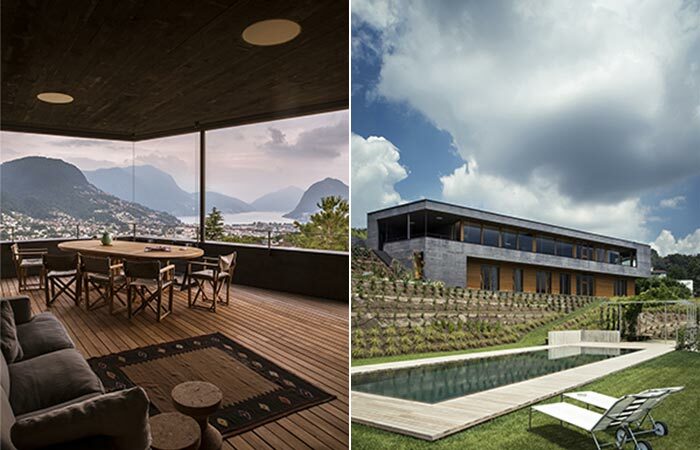 Comano Villa is nestled in the hills of Lugano, Switzerland. 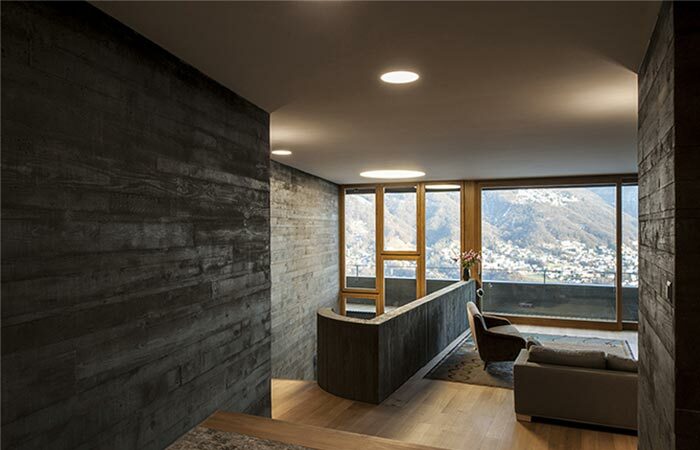 It overlooks Lugano Lake and a nearby mountain. Large windows and openings let in plenty of natural sunlight. 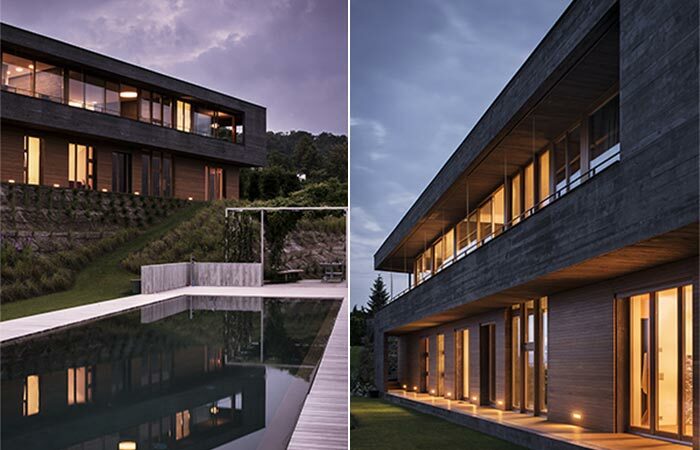 The villa is surrounded by greenery and houses a family of four. 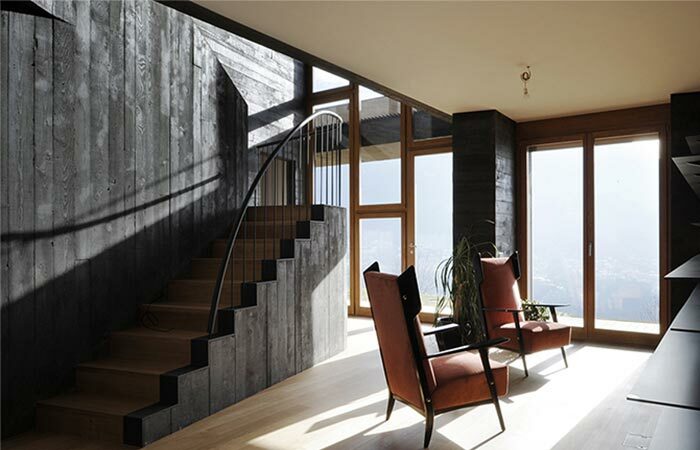 The interior features wooden and concrete elements as well as specially made items like the sculpted staircase. The house is designed for a family of four. The interior features wooden floors and concrete walls. The first floor is occupied by several bedrooms, baths, and a sitting area while the top floor is where the master bedroom, dining area, kitchen and living room are. Thanks to large windows, there’s a lot of light coming in.